Lean Beng Liew affectionately called Beng Liew came from a poor family in the town of Alor Star in Malaysia. As a child she was given away by her poor parents to a Siamese family for adoption. She went to the St. Nicholas Convent School in Alor Star, and was a classmate of Miss Chong Soo Yang (later married to Teh Teik Cheow). Beng Liew was an intelligent student and was a good singer in the school choir. After passing her Lower Secondary School Examinations in 1959 she was forced to move to live in a faraway Terantang Estate, near the town of Seremban in the state of Negeri Sembilan. Now she lost all contact with her family of origin. She had no control over this sad state of her fate and simply yielded to the decision of her adoptive family. It was Yankee Leong, Malaya’s first believer and his daughter Lily Ng who used to go to the Terentang estate for teaching. In one of their trips, Beng Liew accepted the Faith, and soon started to attend Bahá’i activities in Seremban town where she was nurtured in the Faith by Lily Ng. She was employed as a Clerk in the New Era High School in Kajang, a school that was started by the late R.K. Kannan. While working there, Lean Beng Liew took part in several Bahá’i activities and conferences held in the state of Selangor. Soon she stared to make all the preparations. 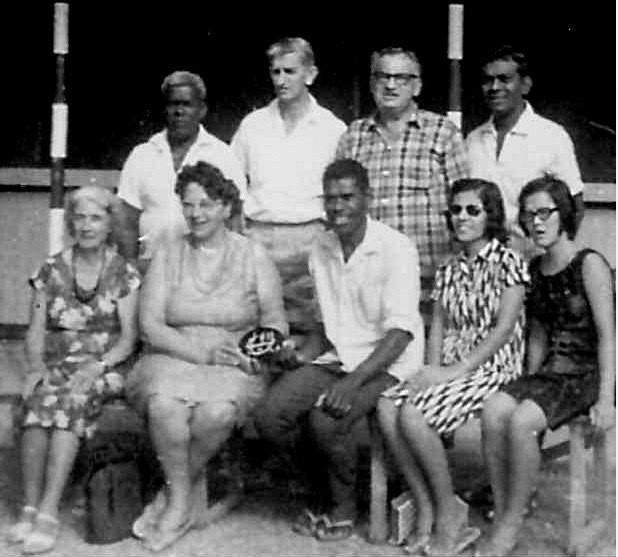 It was while participating in the South-East Asia Regional Conference held in Kuala Lumpur in October 1967, that she went to the airport to fly off to the Solomon Islands to serve as a pioneer. Hands of the Cause of God Abul Qasim Faizi and Dr. Muhajir who attended this historical conference were proud of this gesture. Before departing for the airport, she was asked to say a few words. She took to the stage, and with great humility requested for prayers alone for her success in the teaching field. Thus, Beng Liew became the first Malaysian pioneer to the Solomon Islands. When Beng Liew arrived in the Solomons she was sent to the little island school in HauHui in South Malaita, where she worked for two years. Her two-year services in Solomon Islands are still remembered with immense pride and gratitude. This is the island where the Faith witnessed its first growth in the Solomon Islands. At that time, the local church school would not allow those children who had become Bahá’is to continue to attend their schools. Therefore Mr. and Mrs. Blum, Knights of Bahá’u’lláh built a brick house for the teacher, the first ones being for the Simpsons from Australia. The school was further developed by Mr. and Mrs. Simpson. The school soon expanded from nursery classes. Beng Liew took over from the Simpsons at a time when the school was well established. It now had four teachers and five classrooms. They were built with local timber and sago palm leaves. Soon Beng Liew, with the help of the local Bahá’is started to work with full force and high speed. Bahá’i lessons were included in the curriculum and children started to attend Feasts and observe Bahá’i Holy Days as well. A Parental Teaching Committee was also established to arouse an interest in the parents. This school still operates, but as a government school as the subject of education was taken over by the government on independence. The headmaster of the school was a Bahá’i and many Bahá’i children started to attend this school. 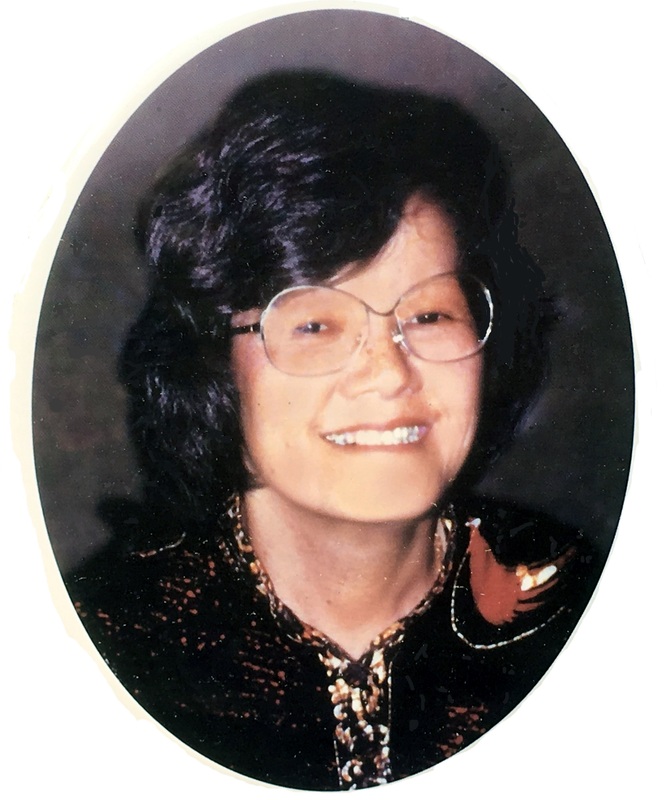 The elevation of the school was the result of the full commitment and dedication of the Bahá’is, with Beng Liew playing a significant role in her days. 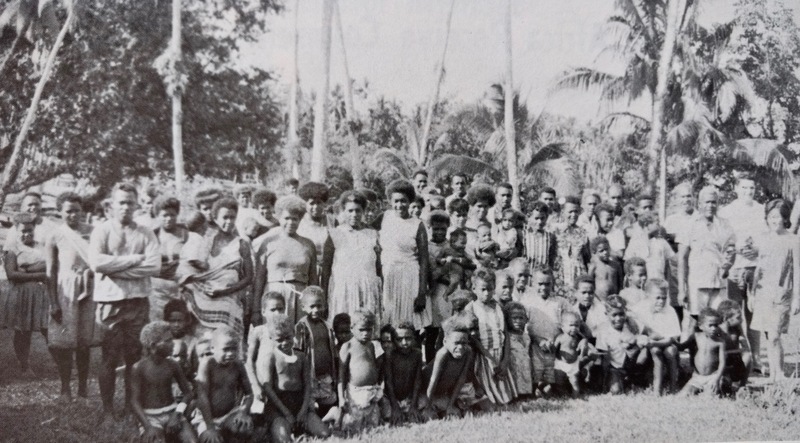 Hau Hui Bahá’i Community in Malaita, Solomon Islands. School teacher Lean Beng Liew stands at extreme right. The year after Beng Liew arrived in Solomon Islands she was elected on the National Spiritual Assembly of South West Pacific Ocean- in 1968. A group photograph taken with the family of Inbum Chinniah and some Bahá’is at the National Bahá’i Center, Setapak, Kuala Lumpur. 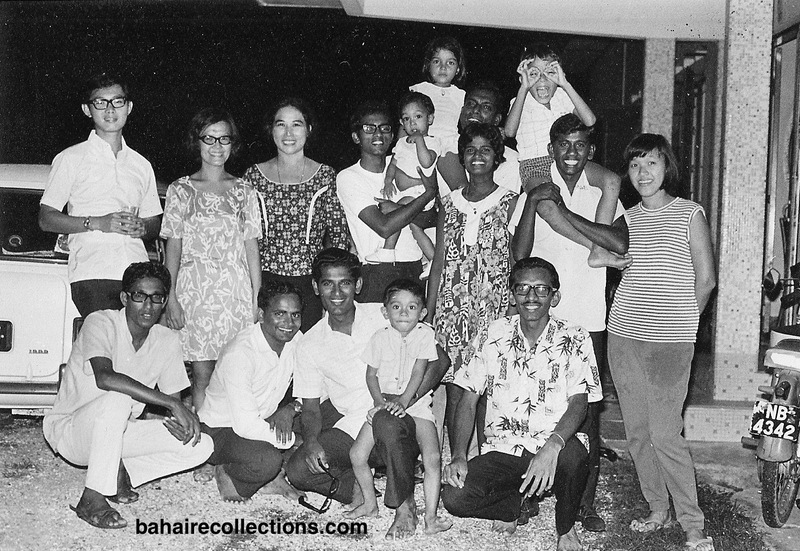 Standing L-R: Yin Ting Shih, Lean Beng Liew, Lily Chinniah, A. Govindasamy carrying Mehron Chinniah, Lechumi, Inbum Chinniah at the back of Lechumi carrying Saffura, S. Krishnan fourth from left carrying Nabil, Swee Len. Seated L-R: Machamboo, R. Ganasa Murthi, Isaac de Cruz with Soheil seated on his knee and S. Ravichandran. This photo was taken in 1970 on the occasion of a farewell party given for S. Krishnan who was going to travel-teach in Sarawak. Summer School of 1970 in Port Dickson. Seated L-R: Lean Beng Liew, Yankee Leong, Philip Ng. In 1971, the National Institution of Malaysia was given new goals. After a short stay in Malaysia, she once again pioneered to Laos in 1971 for another two years. It was a week before a Nineteen Day Feast that she arrived in Vientiane and was posted to a town in the south called Savannakhet (meaning Heaven). The road to Savannakhet was so dusty that when she finally arrived after an eleven-hour bus ride, she was covered all over with a layer of red dust that the bath water turned orange as she washed! She spent one year in Savannakhet and another year in Vientiane serving the Faith with enthusiasm and love. In Savannakhet Lean Beng Liew was teaching English to about forty students who came to the Bahá’i Centre for lessons. About 40 kilometers from Savannakhet there was a refugee area in the Bau Mai district. To reach this place she had to take a mini-bus from Savannakhet to Seno, and from Seno, a tricycle to the first village of Bau Mai district. Within that district Beng Liew traveled long distances from village to village by foot; the distance from one village to the other varied. She along with other Bahá’is opened 25 villages to the Faith within 3 months. In Laos, she proved to be a seasoned pioneer, fully devoted to teaching the Faith and displaying great administrative ability. She displayed great bravery by undertaking several consolidation tours all alone to rural Bahá’i communities and refugee camps around Savannakhet, including night travels. Counsellor Firaydun Mithaq was once in her company on one of those consolidation tours, and witnessed her spirit of devotion, love and service to the Cause of God. Yankee Leong, who visited Laos in 1972 at the request of Hand of the Cause of God Dr. Muhajir, was all praises for Beng Liew. He gave lots of the encouragement to this valiant pioneer and urged her to be steadfast in all her endeavors. Counselor Dr. Chellie Sundram who visited Laos in 1972 in the course of his duty as Consultant of the World Health Organization took advantage of his presence in that country and met the Bahá’is. He gave all the encouragement to Kannabaran and Beng Liew who were serving with distinction. After her pioneering in Laos, she came back to Kuala Lumpur in August 1973 and served in the National Bahá’i center, receiving a small allowance. She was renting a small room in Kuala Lumpur and lived a very simple and thrifty life. She used to cook simple food for lunch rather than buying from the nearby stalls. In 1974, she attended a week-end spiritualization institute and was full of spirit. During lunch breaks she herself organized sessions with the national Bahá’i center staff to go deep into the writings. She shared what she had learnt and imparted so much spirit to the staff. She spent her time conducting children classes in Kuala Lumpur. She was said to be a very strict and yet a loving teacher. It was in about 1973 that she had a strong feeling of loneliness in her heart. This feeling had hovered over her all her life. Having too many mouths to feed, her birth parents gave her away as an infant. Then her adoptive parents shunned her. She had no family to turn to for comfort and love. Her only family members were Bahá’is. Beng Liew saw all her friends getting married. She too longed for a family and to settle down. She would lament to her close friends that she was not beautiful enough to be attractive to men. But all the Bahá’is who associated with her knew that she possessed a great beauty in an upright character and her immense love of Bahá’u’lláh. Inbum Chinniah who was an Auxiliary Board Member then knew her pitiful state and invited her to his home and showered so much parental love and affection without which she would have been lost forever. 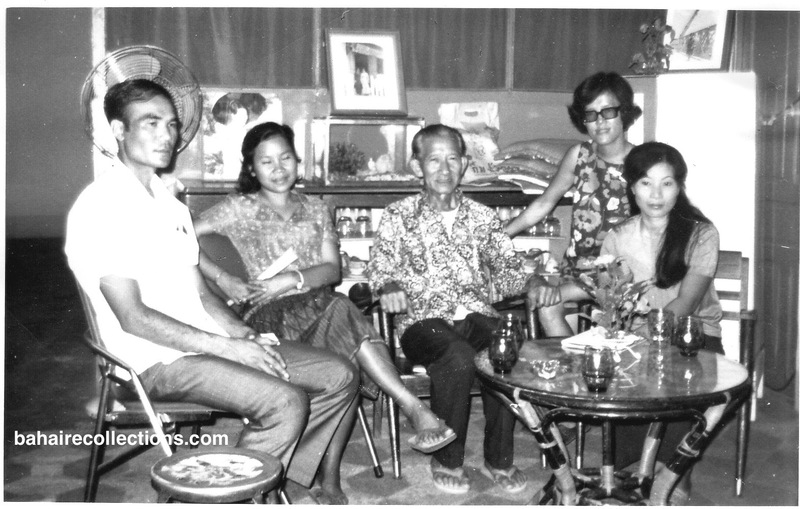 On days when Beng Liew was not seen at his home, Inbum Chinniah would drive to her place and bring her to her house for dinner with his family. 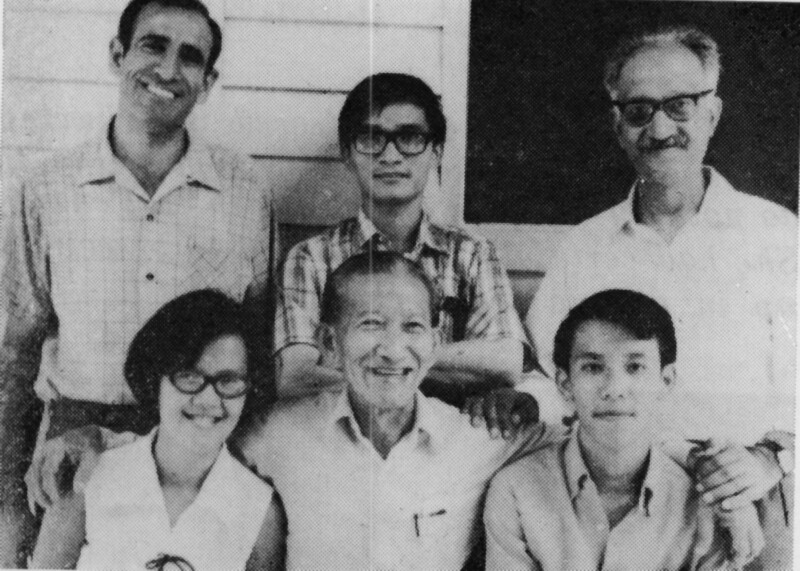 Other fatherly figures from whom she drew strength were the late Appu Raman and the late Mr. Wong Kok Mee who frequented the national Bahá’i center in Setapak. Finally, Beng Liew found a friend in New Zealand whom she wanted to marry. She knew the Bahá’i marriage law requires parental consent. But she was already cut off from her natural parents in the remote town of Yen, in the Malaysian state of Kedah. Over the years there was absolutely no contact whatsoever with her family. She then communicated with her former classmate Mrs. Teh Teik Cheow to arrange for her to be taken to meet her natural parents. Mrs. Teik Cheow gladly consented. Upon reaching Alor Star Mrs. Teh Teik Cheow drove Lean Beng Liew to see her parents in a small rubber plantation estate near Yen, where her family lived. While travelling north from Kuala Lumpur, Beng Liew was full of joy and dreamed all the way that there would be a family reunion, with scenes of hugging and crying with her siblings. But when she entered her home she saw that her mother was very old, confined to a chair and did not recognize her. Lean Beng Liew had to introduce herself to her mother and siblings. It was then that Beng Liew learnt that her father had already passed away many years ago. No one had even tried to inform her at all. Neither her mother nor siblings showed any joy, excitement or emotion at this much awaited and longed for reunion. Lean Beng Liew was crushed, that her dream of a joyous family reunion remained a dream. She finally mentioned to her mother about parental consent for her intended wedding. Her mother expressed surprise that she had come back for consent when she was already given away to another family for adoption. Lean Beng Liew explained the Bahá’i laws on marriage that required consent of natural parents who are still living. Her mother gave her the needed consent. There was a deep-rooted question to which Beng Liew wanted to get a clear answer. She pulled her guts and asked her mother as to why she was chosen to be given away for adoption. She was under the impression that the family gave her away for adoption out of poverty. She came to know that she was chosen for adoption because she was not pretty baby among all her siblings. This bitter truth came from the mouth of her mother herself who had become quite senile and had not much power over reasoning to filter her words. For Beng Liew, the world came to a halt at that moment! The explosive truth that her mother gave almost split Begn Liew’s heart into two. no feelings of love emanating from the family members, Lean Beng Liew felt herself a stranger. With a breaking heart and a flood of tears Beng Liew said goodbye and rushed out of the house. Mrs. Teh Teik Chewo who witnessed the episode consoled her. Beng Liew returned to Kuala Lumpur crying all the way. She shared with another friend later, that it was the most cruel episode in her earthly life, and she wished her fate should never befall any other child from any poor family. Some elderly Bahais not only showed concern for her, but also prayed for her. The late Inbum Chinniah who knew her pitiful state, and her lonely life, invited her to his home almost daily to cheer her up and to shower all the love that she was missing. In Inbum she found the needed comfort and strength. It was such love from the Bahá’is that kept her moving on with life. This incident was a black mark in her life, that carried its scars till the tomb. She married Kevin Pomeroy on 18 March, 1978 and stayed in Whangarei. Kevin was not a believer then. It was some time after their marriage that her husband accepted the Faith. Although her husband was not active in the Faith, he was still very supportive of her activities in the Faith. In 1983, Kevin and Beng Liew moved as home front pioneers to Kaiwaka, a small town near Whangarei, where they lived for a few years. While in Whangarei, Beng Liew often shared stories of her time as a youth in Malaysia and generated enthusiasm for travel-teaching in the surrounding areas of the community in Whangarei. After some time there they moved back to Whangarei. Through this marriage they had two sons – Lester and Keith. Another big blow came for Beng Liew when her son Lester was deprived of oxygen at birth and developed some mental deficiency. But he was not severely disabled. Later Lester was treated in a care hostel. 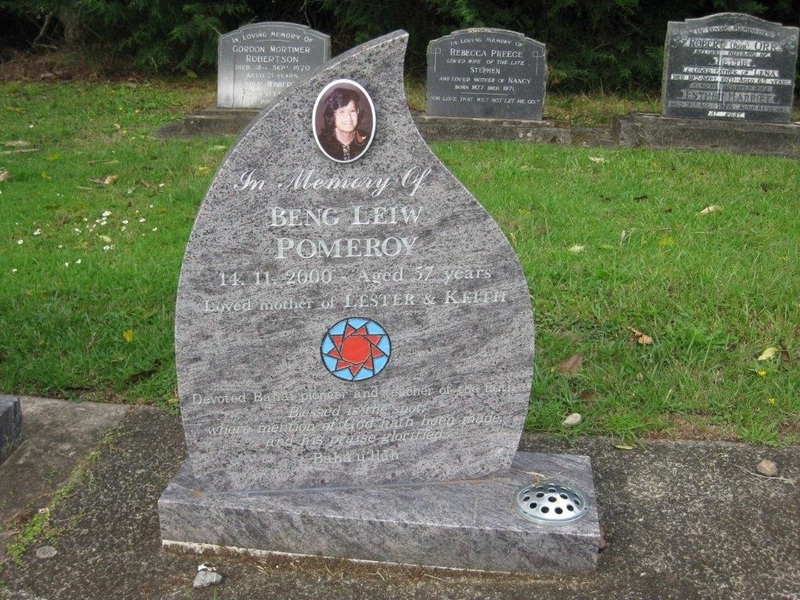 Beng Liew had a difficult life in New Zealand in many respects. One of the main problems was the huge cultural gap that existed between her and Kevin, which was never resolved despite several attempts. This and several other problems led to the sad separation of Kevin and Beng Liew. Yet another blow devastated her when, Kevin resigned from the Faith, adding further injury to the already wounded heart. However, Kevin remained a good friend to the friends and the Faith. With successive blows hitting hard, Lean Beng Liew had no desire to go on with life, and had expressed her desire to leave the world, and prayed hard for God to take her life. She had no one to care for her. To make matters worse, in the early 90’s Beng Liew became very ill and was finally diagnosed with lupus, an auto immune disease. She suffered sorely from the effects of this disease. This was the time when Beng Liew contacted her Malaysian Bahá’i friend Ho Mong Leng, who had settled in Australia, and expressed her desire to migrate there. They communicated over telephone on a few occasions. Beng Liew wanted to stay with Ho Mong Leng so that she could get some good home cooked food, and the needed emotional support. 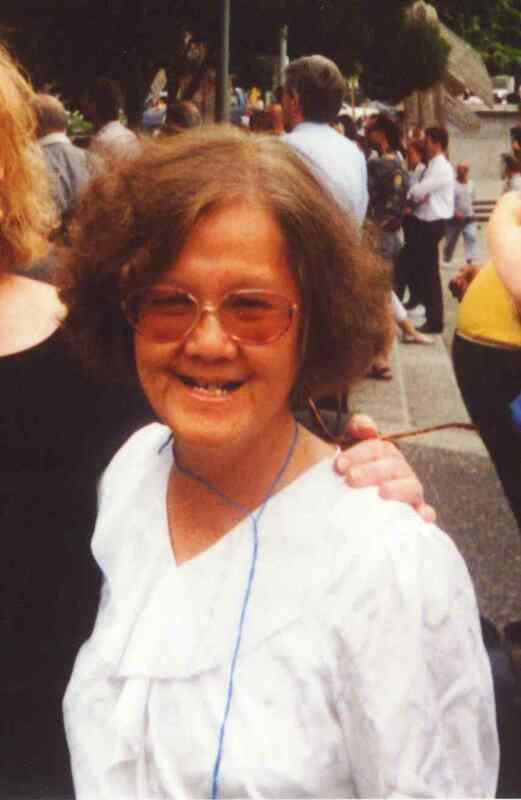 But Beng Liew did not disclose much of the dreadful disease that was eating her. While the kind hearted Ho Mong Leng was discussing the matter with her husband, Beng Liew was admitted to hospital in New Zealand as her disease had reached a critical stage. News spread and friends from New Zealand rushed to visit her for the last time in the hospital. As Ho Mong Leng and her husband were discussing making arrangements for Beng Liew to be brought to their home, news reached her through a friend that Beng Liew had ascended to the realms of the Supreme Heights. Ho Mong Leng herself was devastated as she recalled the dynamism and the sincerity with which she served the Faith in Kuala Lumpur. She died on 14 Nov 2000 at the age of 57, from the acute effects of Lupus. On 18 November , 200 she was buried in Maunu Cemetery in Whangarei, New Zealand, alongside other Bahá’is. Thus, ended the life of a devoted handmaiden whose only hope and happiness in life was the Cause of Bahá’u’lláh. At a time when Beng Liew saw that her life was unbearably bitter, she decided to focus on the everlasting joy and happiness that only the Faith of Bahá’u’lláh could provide. Thus this gallant worker and stoutest defender of the Cause expended every breath of her life in the Cause of Bahá’u’lláh and dedicated all her energy to serve Him. We are sure although she had suffered all loss and deprivation, yet she would certainly have inherited the treasures of all her sacrificial services in the realms of the Supreme Heights. With the passing of our dear Lean Beng Liew, Malaysia is spiritually connected with New Zealand.